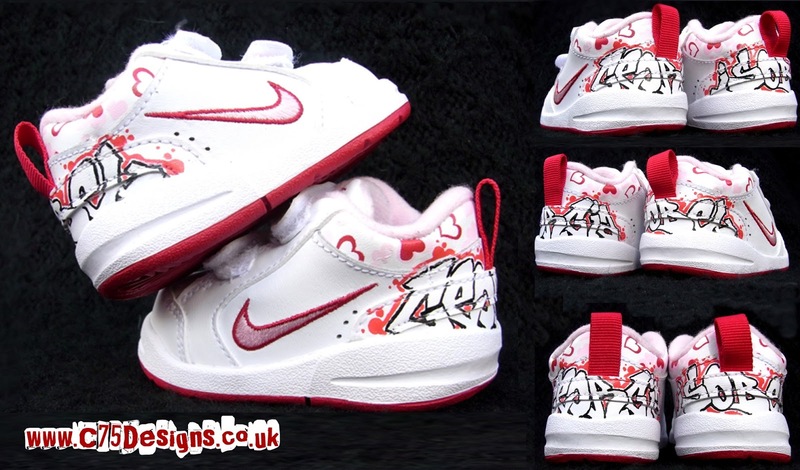 Heres some baby Nikes I did for my new neice; Georgia Isobel. Her first (of many Im sure) customs. If you fancy something similar for a young relative of yours drop me an email.